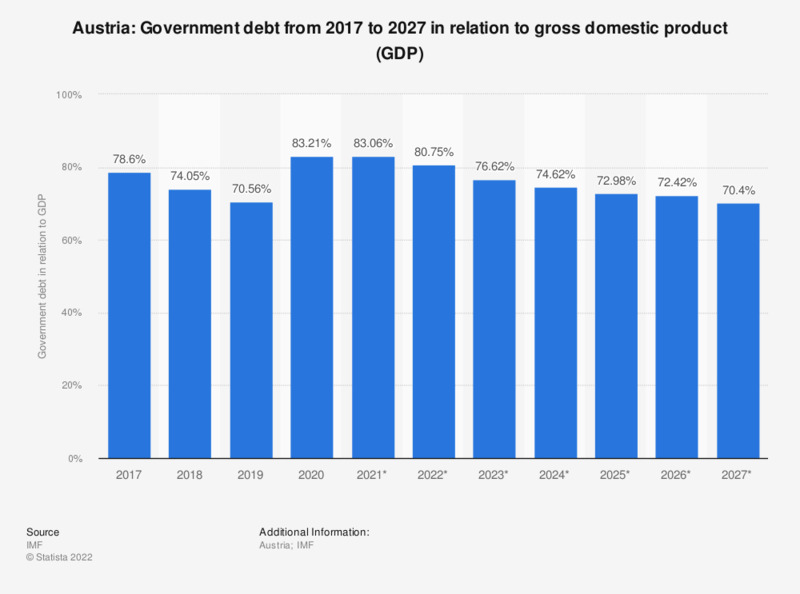 The statistic shows Austria's government debt from 2014 to 2017, with projections up until 2024, in relation to the gross domestic product (GDP). The data refer to the entire state and include the debt of the central government, the provinces, the municipalities and local authorities and the social security funds. In 2017, Austria's government debt was around 78.49 percent of the GDP. Everything On "Austria" in One Document: Edited and Divided into Handy Chapters. Including Detailed References. Which attributes do you associate with products made in Austria?